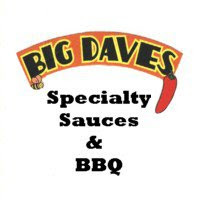 Much like the other Bandana's Bar-B-Q sauces that I've tried, the KC Style sauce was very familiar. The sauce is very thick and slightly sweet. It very closely resembles the traditional sauces made by companies like KC Masterpiece and Bulls Eye. Bandana's tomato based sauces are safe choices for brushing on ribs and chicken. For those who enjoy licking thick, sticky sauces from their fingers while devouring a rack of ribs, KC Style, Chicago Sweet and St. Louis Sweet & Smokey will all do the trick. It's the type of sauce, much like Sweet Baby Ray's that I like to keep on hand in case we're entertaining folks with unadventurous palates. I can't say that I recommend Bandana's KC Style sauce anymore than their others. On the other hand, you could do much worse. Check the "Product Reviews" page to see how Bandana's KC Style sauce rates. 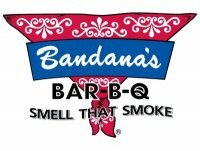 0 Response to "Bandana's Bar-B-Q KC Style Sauce"